It’s not the first thing that springs to mind about, well, Spring in New York City, but the blossom is beautiful. Sadly, it only lasts for a week or so before the wind turns the delicate white petals into a reminder of the snow falling during the preceding cold Winter months. 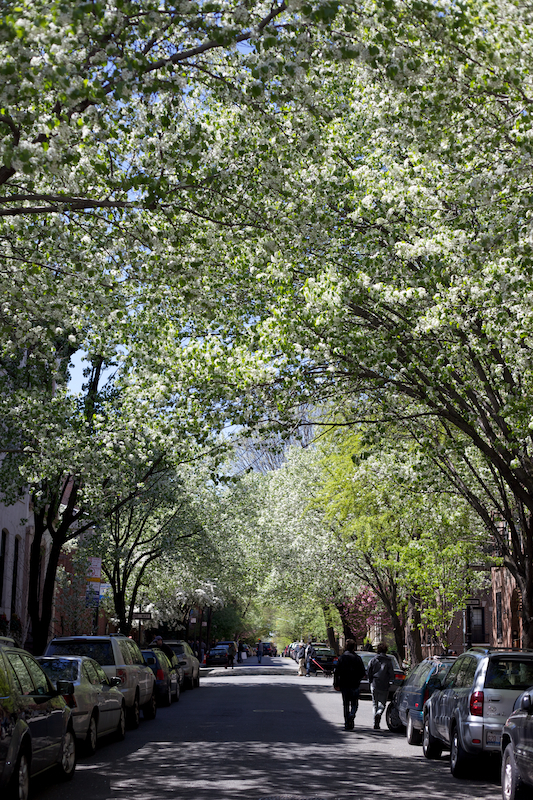 Here’s a picture of Perry Street in the West Village in all its finery.